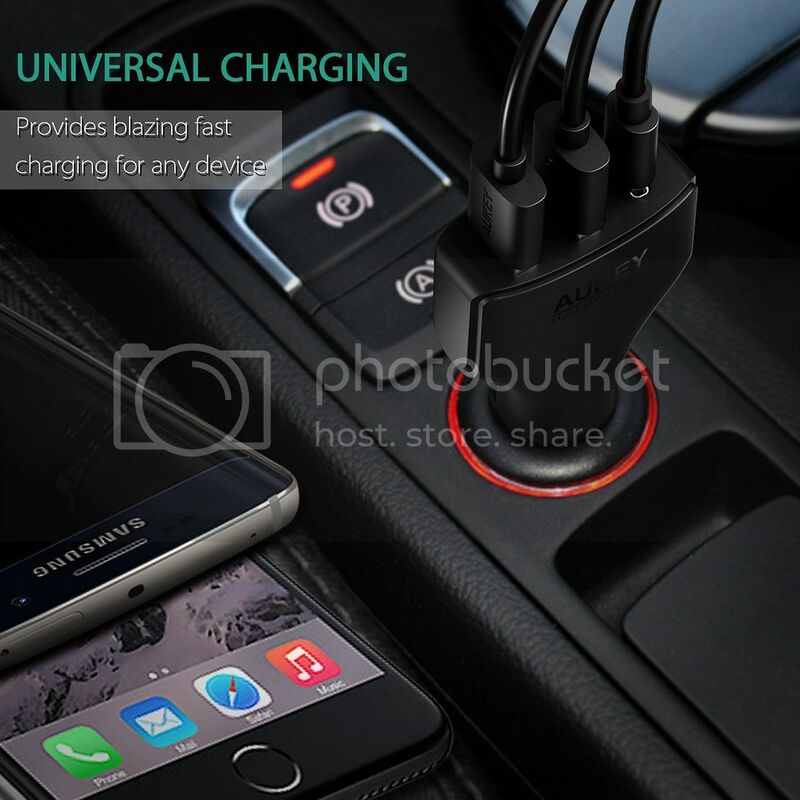 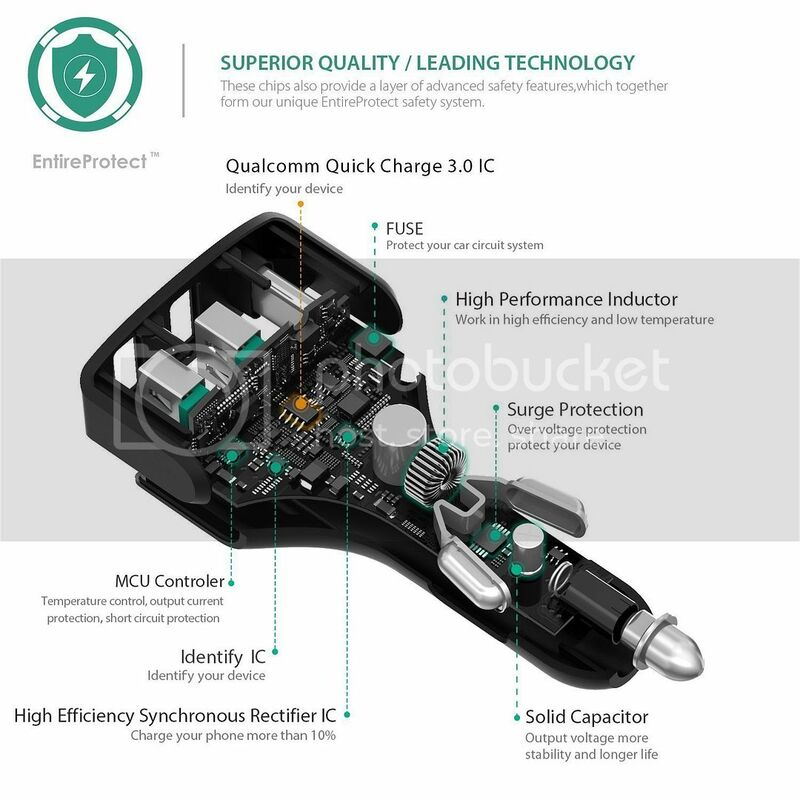 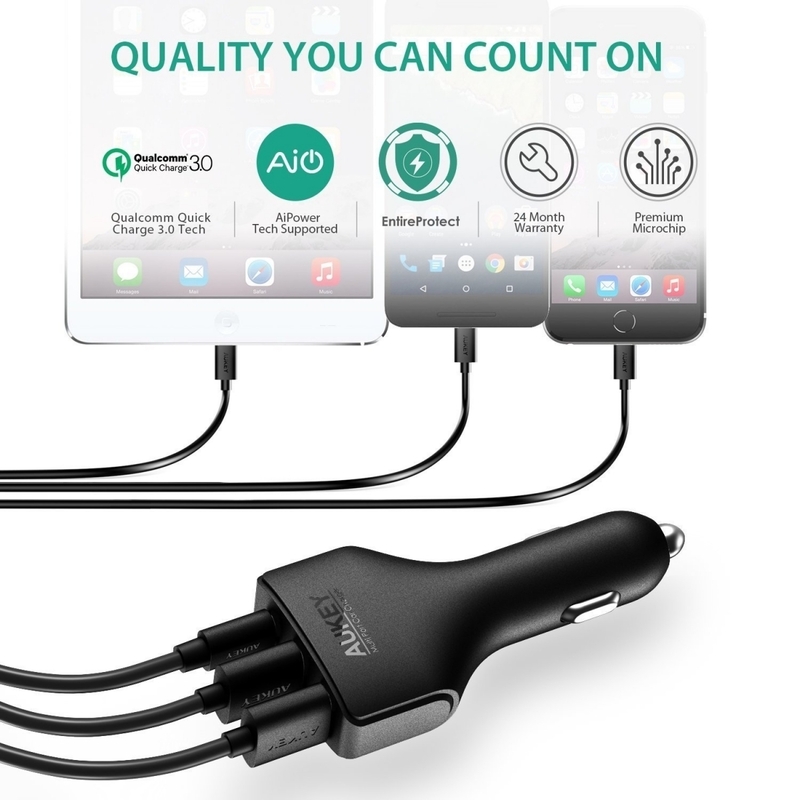 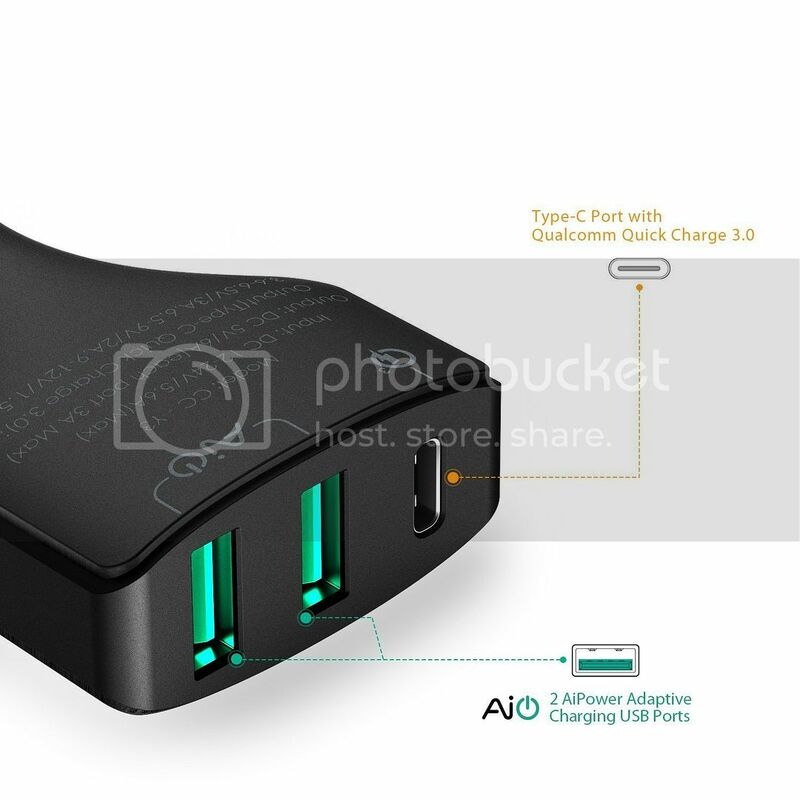 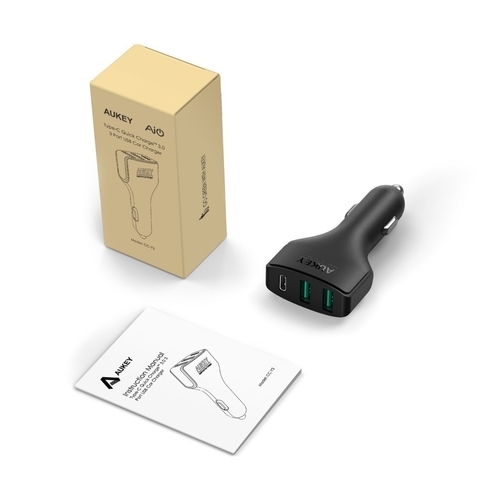 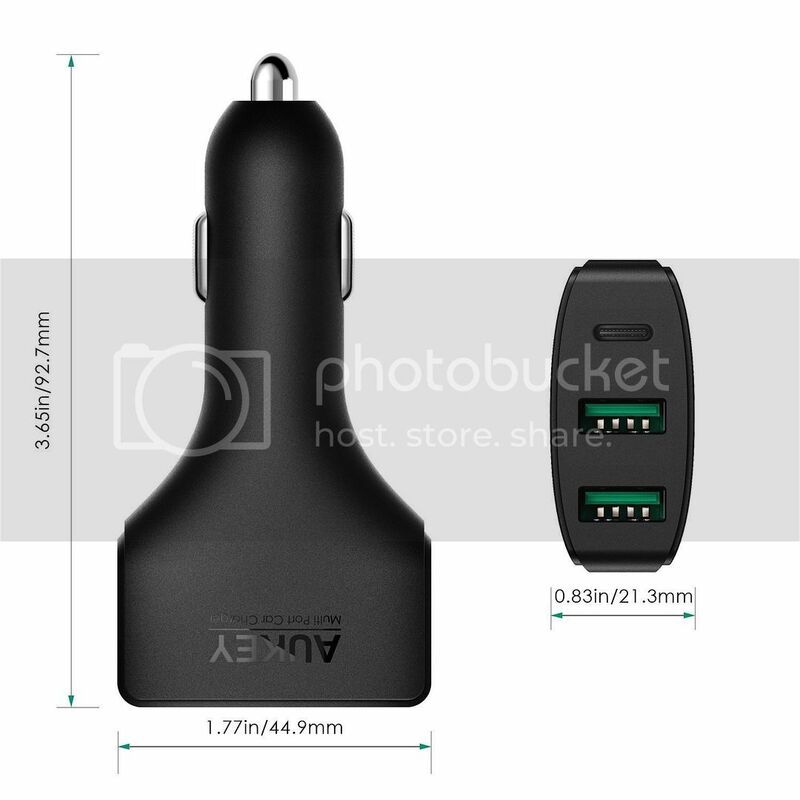 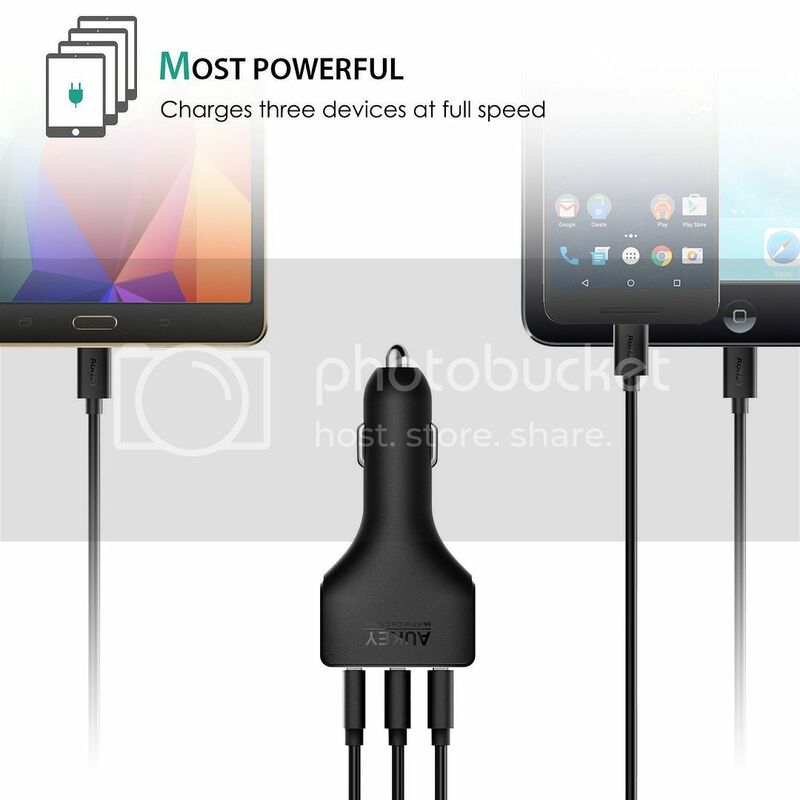 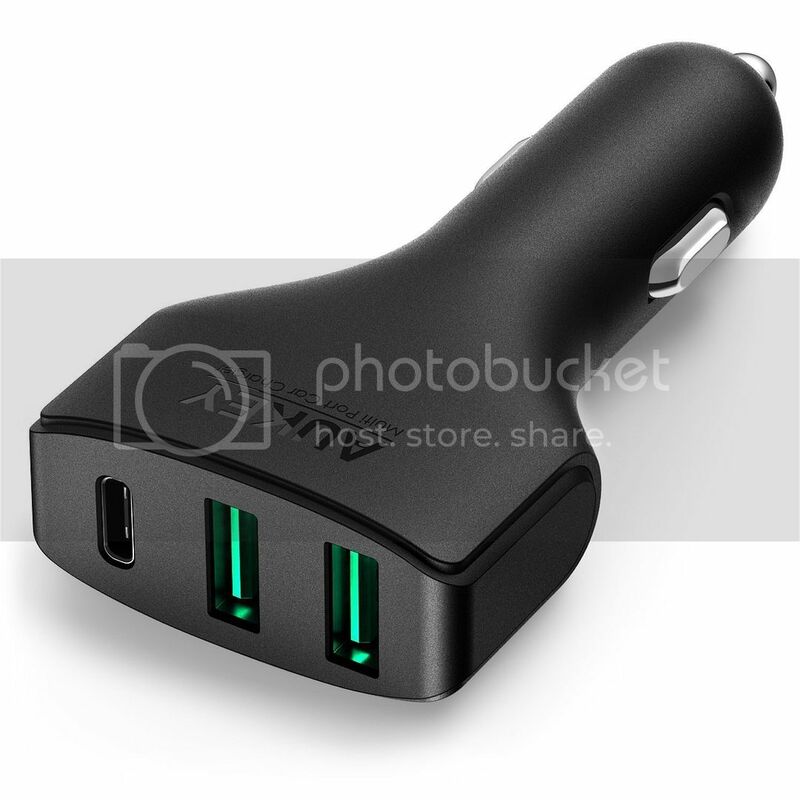 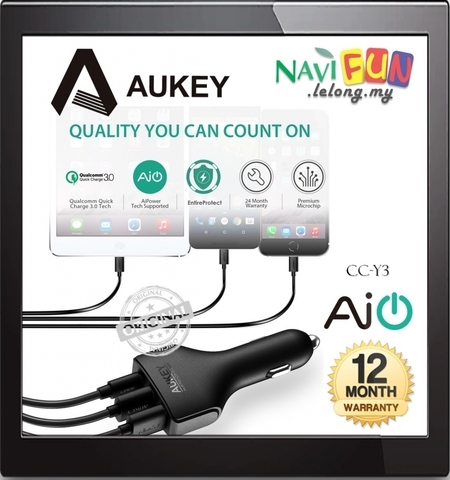 This incredible next-gen multi-port car charger is compatible with the brand new cutting edge QC3.0 standard from a USB Type-C port while utilizing AUKEY庐's class-leading AiPower Adaptive Charging Technology for two USB ports (up to 3A max each) for a comprehensive best of both worlds car charging solution. The future-proof USB Type-C port delivers ultra-efficient smart adaptive charging with incremental outputs of 3.6-6.5V/3A, 6.5-9V/2A, and 9-12V/1.5A. A compact, streamlined form factor combines precision crafting, premium grade materials with the very latest in innovative smart technology. 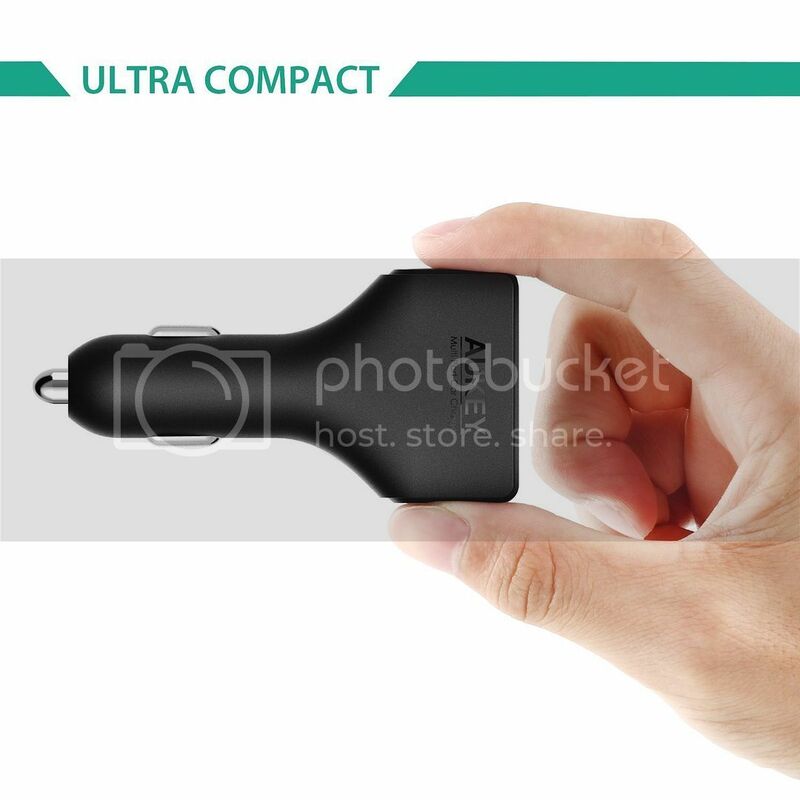 Its ultra-compact profile measures a space-saving 3.68 x 1.79 x 0.83 inches (93.5 x 45.5 x 21.0mm) with a feather-light weight of only 1.48oz (42g).